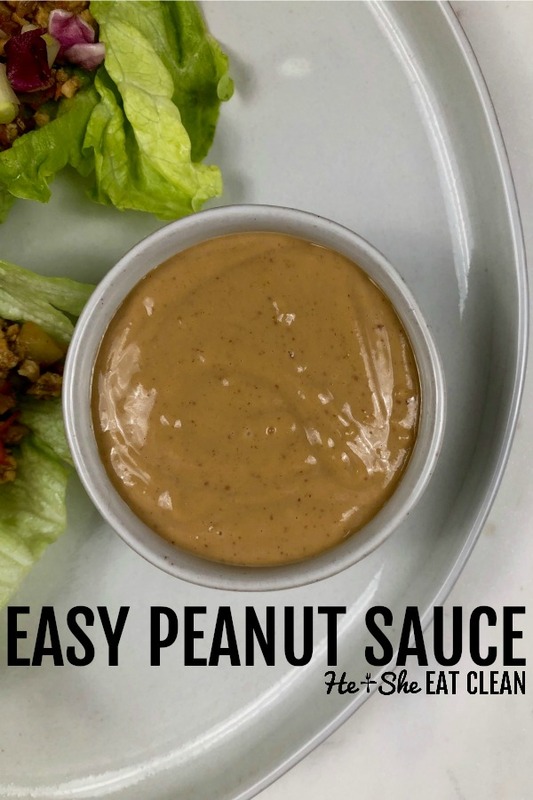 This creamy delicious peanut sauce is easy to make and very versatile. It’s perfect for dipping or as a salad dressing! Whip up this Asian peanut sauce in just a few minutes and you’ll have a delicious addition to your meal. It’s so easy to make it’s ridiculous! It even tastes great the next day. Just store it in the fridge and use it for up to a week (it never lasts that long in our house!). Once the sauce is chilled it may thicken back up but all you need to do is add a little bit of water and stir before using. We’ve always loved peanut sauce. We love peanut butter so why wouldn’t we love peanut sauce?! We’ve been using this with our Asian ground chicken (recipe coming soon!). It’s also delicious drizzled on lettuce wraps, topped on a salad, or as a dip for spring rolls or vegetables. Mix all ingredients together in a medium-sized bowl and stir in water until you reach your desired consistency.